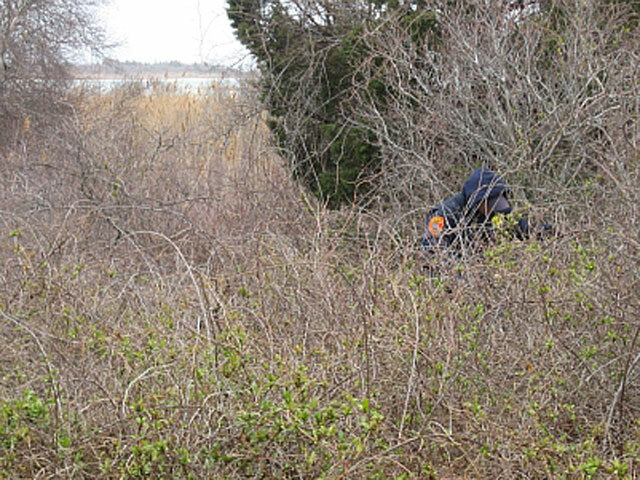 (CBS/WCBS/AP) - Police searching a Long Island Beach Monday for signs of a potential serial killer have found bones, according to reports. The bones found as police expanded their search to Jones Beach State Park were sent to a medical examiner, who will determine if they are human, authorities said according to MSNBC. A police force of about 125 combed the area along the Ocean Parkway area of Nassau County, reports MSNBC. Police were searching for missing Jersey City woman Shannan Gilbert when they unearthed the remains of four women - all in their 20s - in December. The women were all prostitutes who advertised on Craigslist, reports CBS station WCBS. Four additional bodies were recently discovered. These other bodies have yet to be identified. Gilbert has still not been found. Police suspect they may be chasing a serial killer. The possible serial killer appears to have sophisticated insight into police investigation techniques, reports The New York Times, but police have not yet named any suspects in the case.